Why Pursue a Master's Degree From AHU? The healthcare field is one of the fastest growing fields in the U.S. Nearly a quarter of all new jobs between now and 2024 will be in healthcare, according to the Bureau of Labor Statistics. Earning a master’s degree ensures that you will be properly equipped to handle the needs of a growing industry and that you will have the skills required to manage teams of employees effectively. Our master’s programs are designed for people at various stages of their careers. We offer programs for both professionals who hold an associate degree and those who have a bachelor’s degree and are looking for accelerated graduate-level education. Our Executive Master’s Degree Program is designed for people who have demonstrated experience in their fields and who want to further develop career leadership skills. The MHA/MBA Dual Degree program unlocks endless possibilities through expert education in healthcare and business. Learn more about each of our master’s programs and how they can strengthen your healthcare career today. The Executive Master of Healthcare Administration (EMHA) from AHU Online is designed to help leaders in the healthcare field advance even further, faster. Designed for professionals who have at least three years of healthcare experience in HR, budgeting, or management, the EMHA degree can be completed in just 18 months. 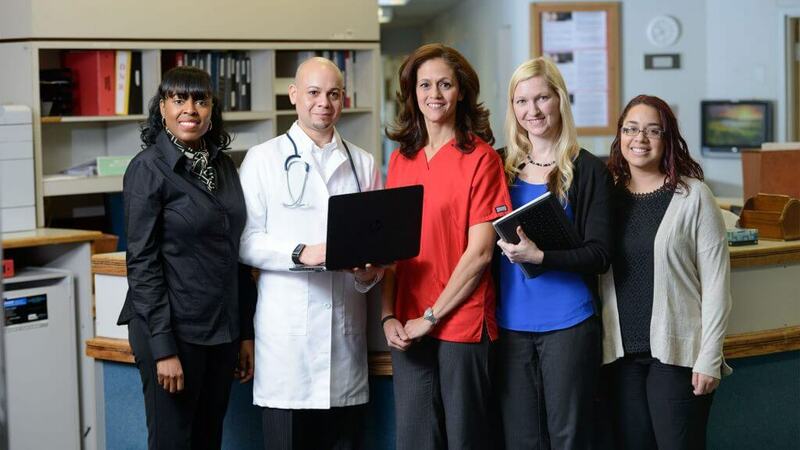 The online MHA degree builds on your current experience in the healthcare field and gives you the skills and tools you will need to guide the ever-growing healthcare workforce. The skills you gain in the online master’s program will help you direct health systems, respond to issues about population health management, and leverage new technology to keep health systems up-to-date.